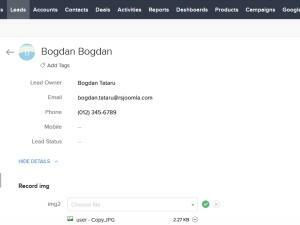 Once you get there, click on the view all plugins and modules button associated with the RSForm!Pro license and click RSForm!Pro Files >> Plugins >> Zogo CRM plugin. 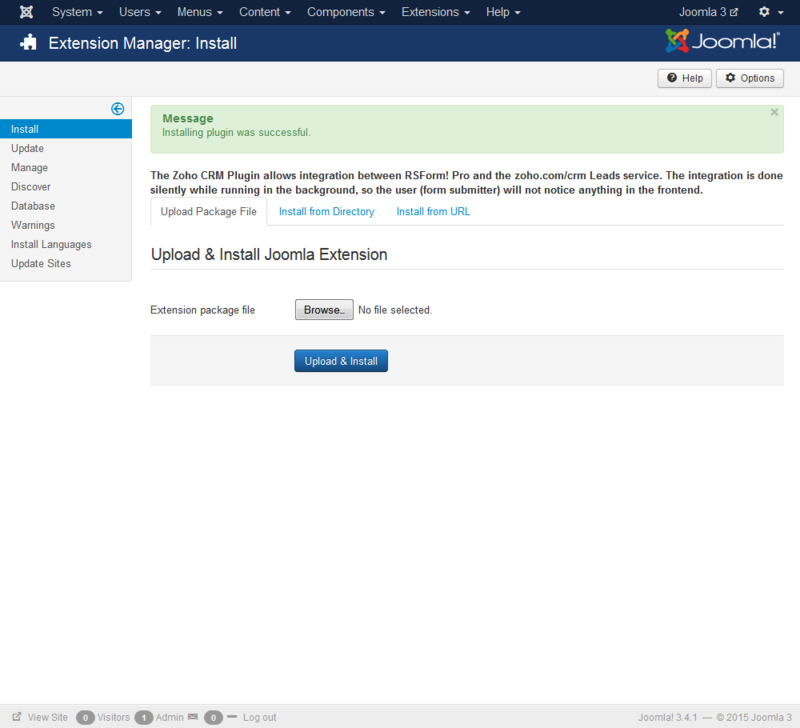 After installing and publishing the plugin you will see, in Components >> RSForm!Pro >> Configuration that a new tab was added, Zoho CRM, which holds the configuration options. 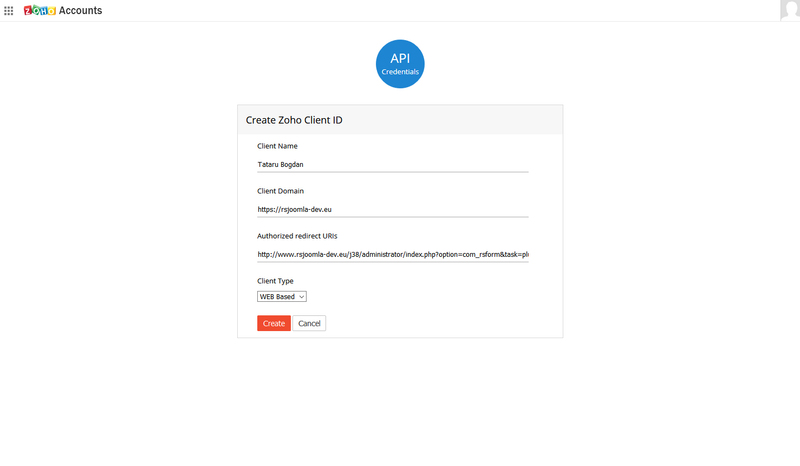 Zoho CRM Token: You can grab your own key from here: generate Authtoken, this only works with "crmapi" as scope; if you're viewing "creatorapi" or "DataAPI", the token won't work. The "Client Type", in this case will be "Web based"
5. If all the steps have been taken correctly, a screen as the following will be displayed. Otherwise, you will have to start from the beginning. 6. 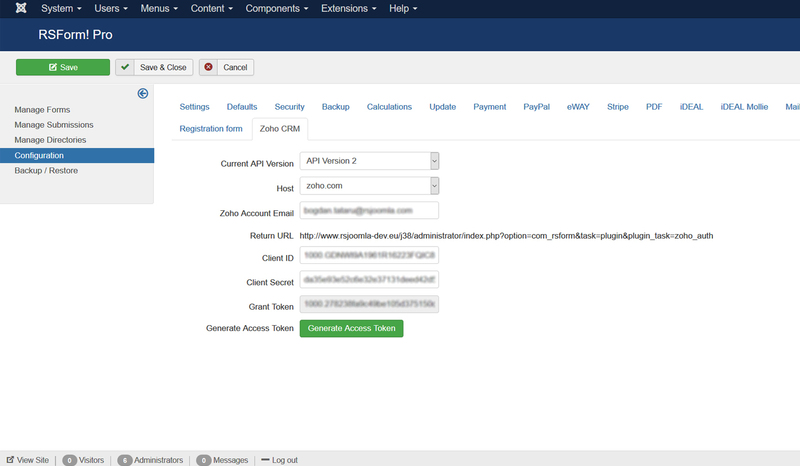 Copy the "Client ID" and "Client Secret" from registration success screen and add them in the RSForm!Pro Zoho CRM configuration tab. 8. After the details are saved, a new input field "Grant Token" and a new button "Generate Grant Token" will be displayed. You will have to click on the "Generate Grant Token" button. 10. You will be redirected to RSForm!Pro's Configuration page and you will notice that the "Grant Token" field has been automatically completed. 11. 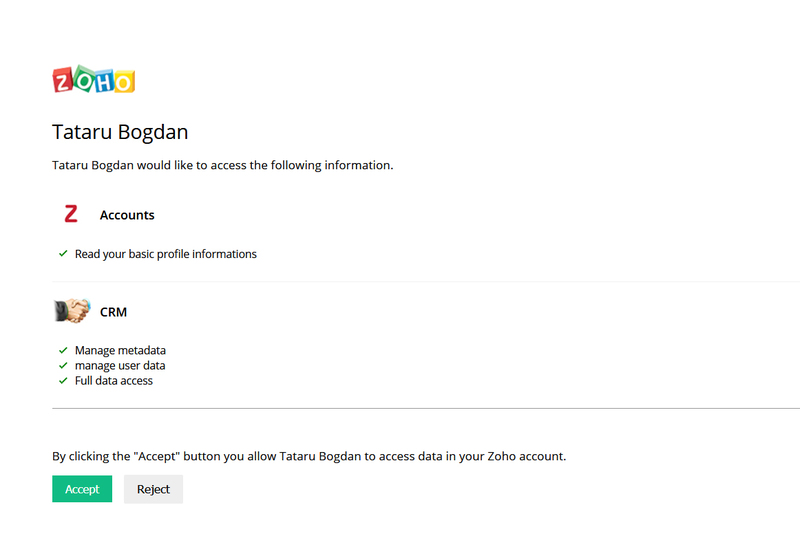 Click the "Generate Access Token" button and a successful message should be displayed. 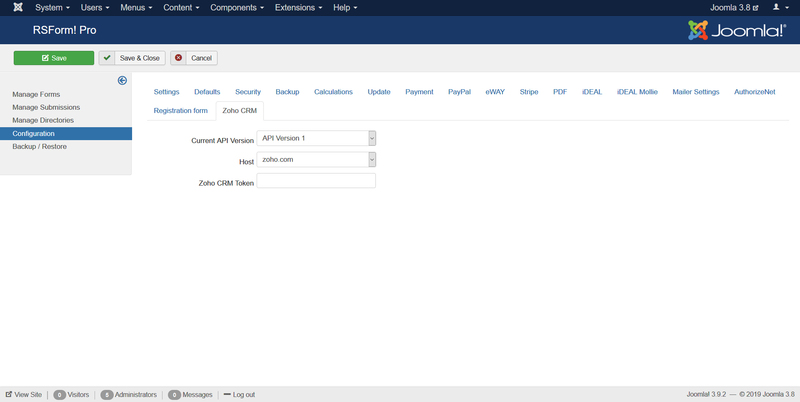 If you change the API version you will have to reconfigure the mapped Zoho CRM fields, because the API is using different field IDs. 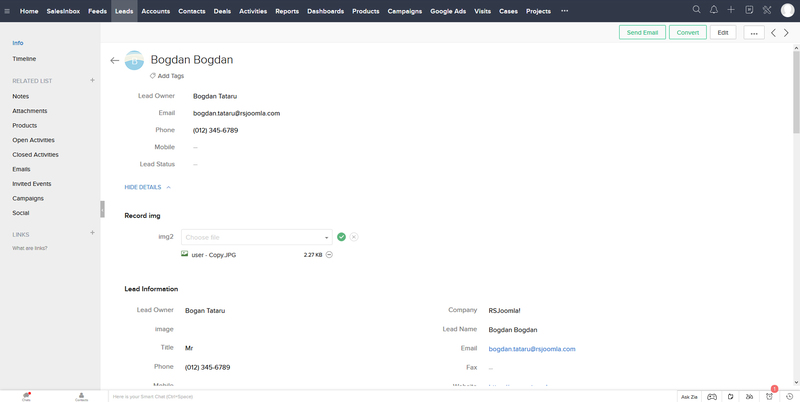 Head over to the RSForm!Pro component and Manage the form you would like to send Leads to your Zoho CRM account. 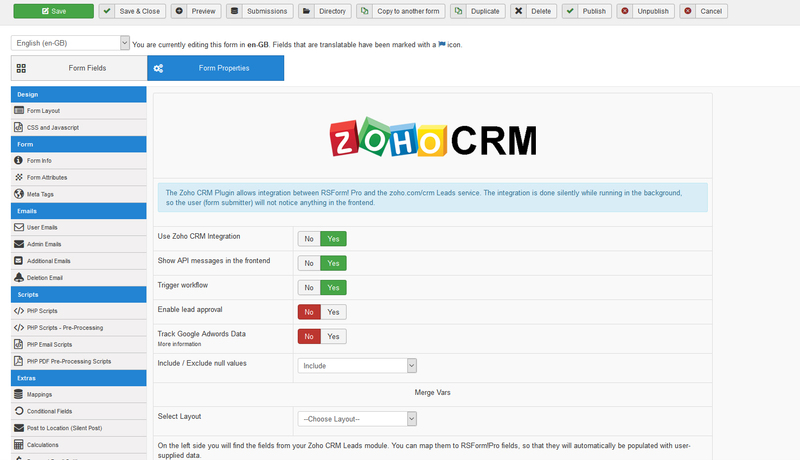 In the Form Properties access the Zoho CRM plugin and switch Use Zoho CRM Integration? to Yes. 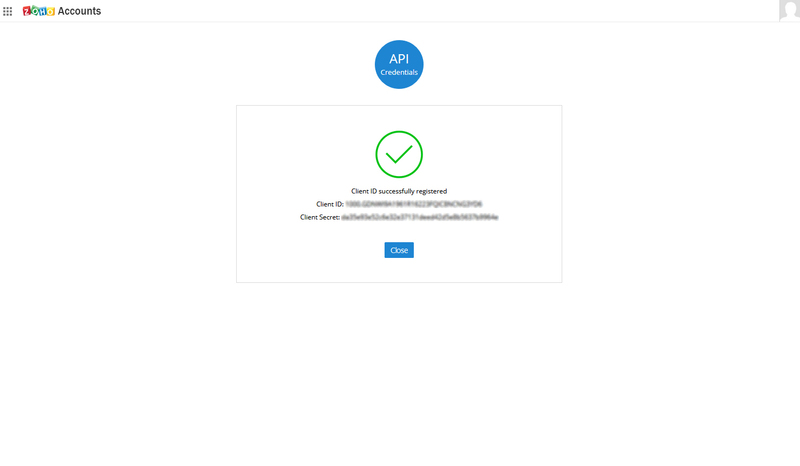 Show API messages in the frontend - No/Yes - If enabled, it will display the Zoho API messages in the frontend to aid in debugging. 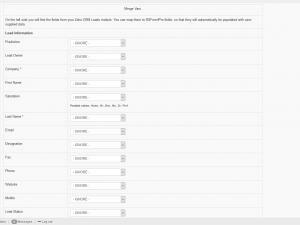 Below the plugin's options you have a list of Lead Information which can be mapped with RSForm!Pro standard files. 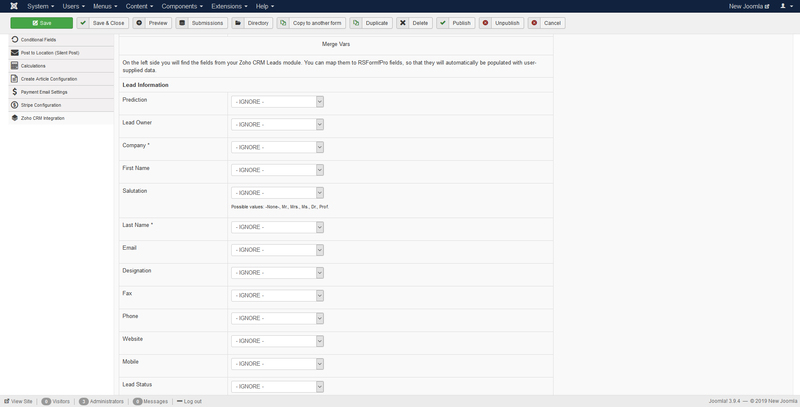 Simply use the Dropdown Field and select which of the already created RSForm!Pro fields should be mapped.